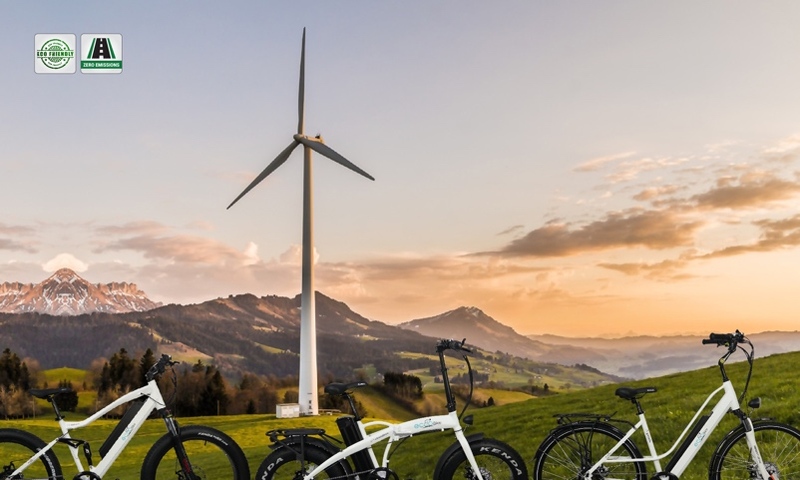 EccoBike™ is a small family owned business located in New Westminster BC Canada that believes the future of transportation will be ecologically friendly and we are in a mission to deliver the right vehicle for a sustainable mobility at any age. Our mission is clear, forget the car and get around with zero CO2 emissions on thousands of trails and roads across North America. In the jungle of bicycles, our e-bikes have priceless animal names like Chamäleon, Gazelle and Nashorn, the German word for Rhino. Our belief is that e-bikes help to maintain personal mobility, substitute short car journeys and promote health and wellbeing. If your work place is within our e-bike range, we encourage you to keep your internal combustion vehicles far from any traffic and start e-biking to work. Is that simple! Are you healthy because you cycle or you cycle because you’re healthy? e-bikes at just half the price compared with main street bike shops and second to none customer service. We have an unique design, build with a light aluminium frame. All our parts are stored in-house making it easier to be delivered to our customers when need it. 16 000 MW, representing approximately 90% of total installed capacity.